"My wife surprised me today. My landlord came to my flat today and embarrassed me by shouting to the hearing of the whole neighbours that my rent expired last month and he needed repayment as for me hush my pocket is not telling me good story but surprisingly, I mean to my greatest surprise my sweet wife felt humiliated and dragged me inside her room and brought something out which she asked me to break Open, I obeyed and used a hammer to break it open ... my people do you know what I saw ? 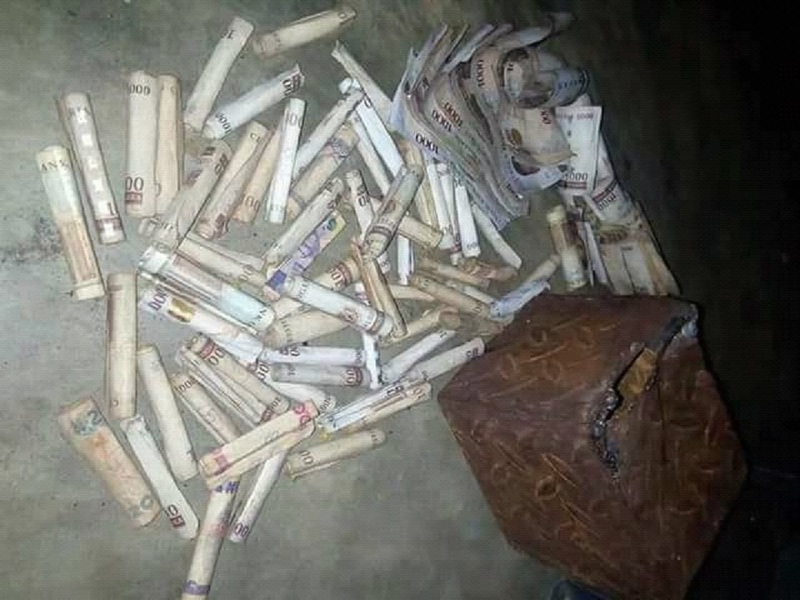 it was money and I counted it diligently to be 147,400naira.. Mehn ! I no fit shout I called the landlord immediately to send me his account number and tomorrow I will be on my way to the bank ASAP. Advice: Please marry a good wife like mine, you ll be happy always and please if you see my angel, thank her for me ! She saved my face...!! "